Thelma Louise Jones was born November 7, 1903 to Willie and Maggie Davis Jones. Ms. Jones grew up in Mansfield and began her education in Mansfield Elementary School and graduated from I.M. Terrell High School in Fort Worth in 1921. Following graduation, Ms. Jones studied at Bishop College in Marshall, Texas. Later, she earned her Masters Degree in Education from the University of Colorado at Boulder. Ms. Jones' service to Mansfield ISD and its students spanned almost half a century. For forty-nine years, she served as a teacher and a principal for three generations of students, who fondly recall her as a virtuous woman of great integrity. Ms. Jones provided strong leadership as segregation came to an end and integration began. It was a difficult time for the MISD, as well as this country. But regardless of controversy, Ms. Jones remained a staunch role model for her students and the school community. Thelma Jones passed away July 27, 1978, at the age of 74. As a revered pioneer in education, a talented musician who served many years as the church musician for Bethlehem Baptist Church, and a role model for many, her life served as an example for countless students and adults. 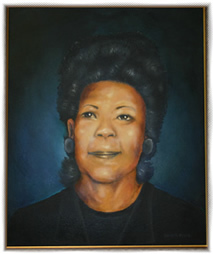 Mansfield ISD is proud to honor the memory of Ms. Jones with the dedication of Thelma Jones Elementary School.